Man Vs Woman. 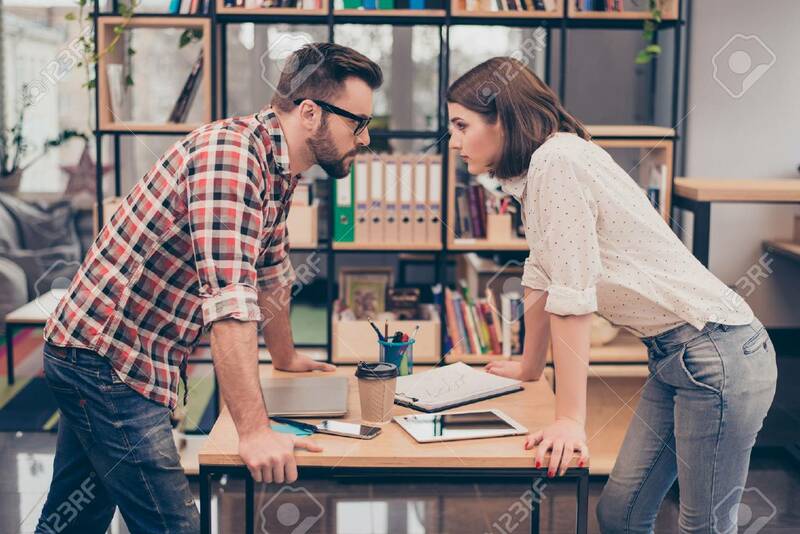 Two Concentrated Business Partners Quarreling Stock Photo, Picture And Royalty Free Image. Image 71756360.